Mobile TV was one of the topics that held a lot of interest in MWC08. Some of my clients i discussed Mobile TV with wanted to wait for MWC to check which direction the wind is blowing. The news seem to be that most of the handset manufacturers seem to be looking at it now. Many Chinese can already catch analog television signals on some handheld devices. The Chinese government, however, intends to use the Olympics to showcase the next wave of digital mobile TV, based on standards developed in China. Huaqi, a Beijing manufacturer of handheld devices, is planning to build inexpensive, user-friendly portable media players and navigation devices. Four different models, priced around $300 apiece, will debut in June, says Guo Hongzhi, Huaqi's general manager of resource management. Outfitted with 4.3-inch screens, they will also be able to play music and video and will eventually incorporate global positioning satellite data and wi-fi. Some of the nuts-and-bolts technology, however, is coming from elsewhere. 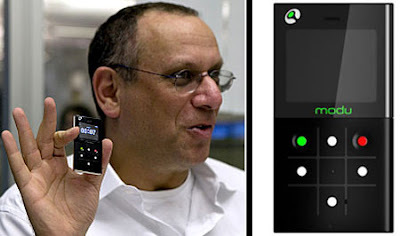 Alon Ironi runs Siano Mobile Silicon, an Israeli firm that makes the specialty TV receiver chips that receive signals encoded using the unique Chinese standards. Siano's chips can receive both satellite and terrestrial signals--an unusual combination that will eventually make the network more affordable, Ironi predicts. For now, that's hardly a concern: The Chinese government plans to subsidize the mobile digital TV service for the first year to whet Chinese users' enthusiasm for the technology. The Olympics promise to be a picture-perfect showcase for China's digital mobile TV service. Work on digital TV has been going on for several years. Public trials in 35 cities are slated to begin in April. By the time of the highly anticipated Aug. 8 opening day of the games, China plans to be broadcasting digital mobile television to 65 cities throughout the country. The magnitude of the Chinese mobile market, the largest in the world, with more than 540 million subscribers, means that the summertime experiment could turn into big business. This would also be a boon for mobile TV around the world. Despite success in countries like Japan, Korea and Italy, which began broadcasting mobile digital TV as early as 2005, the technology has yet to take off worldwide. There is a fast-growing army of ex-mobile TV users in the U.S. and Europe’s major mobile markets. Disgruntled by the high prices, and dissatisfied by the poor quality and reliability of the service, consumers are turning their back on the service in their droves. So much so, in fact, that the number of ex-mobile TV users now outnumber more than two to one mobile TV users in Germany, Spain, France and Italy. This is the key finding of a survey conducted by M:Metrics, the results of which are published today. By comparing mobile TV usage patterns in January 2007 with those during November 2007 in the UK, Germany, Spain, France, Italy and the U.S. — more than 34,000 mobile users were surveyed in total — M:Metrics found the size of the mobile TV audience had increased by 36 percent. The bad news for mobile operators, however, is that the number of former mobile TV users had grown by a whopping 68 percent. The second most popular reason for mobile TV disillusionment among M:Metrics’ survey respondents was poor quality and reliability, cited by an average of around 25 percent of ex-mobile TV users across the countries surveyed (ranging from 22 percent in the U.S. up to 30 percent in the U.S.). Receiver chips must be energy-efficient to preserve battery life--an important consideration in any mobile device. At the same time, they must be sensitive enough to transform even weak TV signals into clear images and function in sheltered places, like garages, and at moderate speeds, such as on trains or in fast-moving cars. Clashing standards have slowed adoption. Like many cellular technologies, mobile TV standards differ by region, forming an alphabet soup of acronyms: wireless technology company Qualcomm's MediaFLO in the U.S., DVB-H (Digital Video Broadcasting for Handhelds) in Europe, T-DMB (Terrestrial Digital Multimedia Broadcast) in Korea, and ISDB-T (Integrated Services Digital Broadcasting - Terrestrial) in Japan and Brazil. The standards are largely incompatible. That fragmentation extends to business models. There are "free to air" services, which, like basic TV channels, can be picked up by any device with the right chip or receiver--no service provider necessary. Particularly popular in Latin America, the Middle East and parts of Asia, these channels generally offer the same programs a home TV would show for free. Then there's the paid model, predominant in the U.S., in which mobile carriers provide premium TV shows to subscribers for a fee. Mobile TV use is set to surge due to strong consumer demand, with the service ranked as the number one application users want on their phone, according to a consumer behaviour study conducted by Ericsson and the #1 international news broadcaster, CNN. The results show more than a third (34%) of respondents ranking TV as the most in-demand application and almost half (44%) of the respondents poised to adopt mobile TV in the next two years. mobile TV services expand over the next five years, ABI Research sees the total number of subscribers growing to 462 million, driven in large part by the expansion of 3G networks, and flat-rate plans for mobile video. The build-out of mobile video delivery networks and an increase in the amount of available content will also contribute to the market’s growth. ABI Research sees the Asia-Pacific region as the overall leader in the adoption of mobile video services. The number of subscribers to mobile video services in Asia-Pacific will grow from 24 million in 2007 to more than 260 million by 2012. High levels of penetration will occur in both Japan and South Korea, each a leading market in mobile video services, while China and India will both contribute significantly to the overall total due to very large subscriber populations, even though the overall penetration of video services will remain much lower than in more technologically advanced countries. Panasonic announced that it has begun shipment of its P905iTV mobile phones to NTT DoCoMo, Inc. Combining the design concept of Panasonic large-screen flat-panel TV ’VIERA’ and its high-quality picture technologies, the P905iTV is a sliding handset featuring "One-segment" mobile TV. Adopting frame conversion technology from 15 frames to 30 frames per second enables users to enjoy smooth, vivid and high quality "One-Segment" mobile TV together on a 3.5 inch Full Wide VGA large screen. The handset employs Panasonic’s original high-resolution technologies, "Mobile PEAKS PROCESSORTM" and "Mobile Double Contrast AI" that achieves a high contrast ratio of 4000:1, enabling users to enjoy vivid and high resolution "One-Segment" mobile TV and motion pictures. Using "LCD Artificial Intelligence" which adjusts the brightness of a display automatically and advanced system LSI based on "UniPhier" for mobile phone, the P905iTV leverages eye-friendly pictures and electric power saving, letting users enjoy long-time ’One-Segment’ mobile TV viewing and music playing. TTCN-3 core language is nothing more than simple text with well-defined syntax and semantics. The syntax is defined using Backus-Naur Form. What this means is that any text editor can be used to write TTCN-3 test cases. Such test cases are quite different in dynamic behaviour from C or Pascal. Still, it is quite easy for programmers well-versed with procedural languages to get used to TTCN-3 easily. There are many similarities - keywords, data types, variables, control statements, functions, operators, operator precedence, just to name a few. The language is structured in a way that allows high level of flexibility. Test system definition is modular. In fact, an important unit of a test suite is a module which would contain one or more test cases or the control part of a test suite. Concurrency of operation is possible because components can execute in parallel. Of course, execution is serialized at the level of hardware unless the multi-processors are involved. Parameterization is possible just as it was possible in TTCN-2. Concepts of PICS and PIXIT still apply because they are fundamental to any conformance testing. Finally, you may be wondering why I am discussing TTCN-3 on this blog. This is because those of us who work in testing side will know very well that most of the test scripts are written in TTCN. 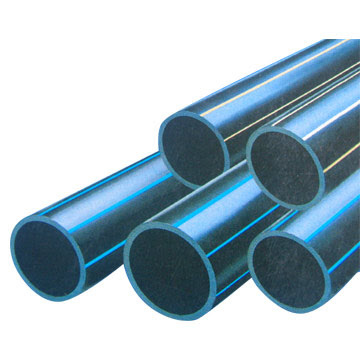 At present TTCN-2 is used and there is only one big player for that which is Telelogic. This is because they have some patents which restricts competetion. To bypass this, ETSI pioneered TTCN-3 which is open source and anybody can create a compiler for TTCN-3. As a result, TTCN-3 is being widely adopted for testing now. Its already being used for WiMAX, IMS and SIP testing. In future it would be used for LTE as well. Do we really need Femtocells? This article in Telecom Magazine got me thinking. Do we really need more wireless equipment in our house that will increase the electronic smog or would we rather change the service provider? Forty-three percent of respondents surveyed by 2Wire said they would rather switch cellular carriers to get better in-home coverage, lending credence to the growing movement for either femtocells or fixed-mobile convergence with dual-mode devices as a way to improve home reception. The survey, conducted by Quality Resource Associates, of San Jose, California, questioned over 600 mobile and broadband users to gauge their thoughts on fixed-mobile convergence. “When 43 percent of people who respond say that they would consider switching to a new cell phone service provider that could promise perfect in-home coverage, that’s a very strong statement,” Brunato said. ­35 percent of respondents would cancel their fixed line phone service and only use the cell phone if home coverage was as good as fixed line. WiMAX was designed for the ISM Band and other bands that were freely available worldwide but suddenly they have realised that they can get a big time break if they can be rolled out in the 700MHz spectrum being auctioned in US. The Forum, which in the past has assiduously stuck to its guns that it was developing specifications for accepted international spectrum like 2.3, 2.5 and 3.5 GHz, has done an about-face and announced that 700 MHz is a key signpost on its technology road map. “The market interest has grown considerably recently to the point where the board has decided to give it some high priority and made the announcement today (at Mobile World Congress in Barcelona) that we’re going to be working hard on the technical specifications for the band,” said Tim Hewitt, chairman of the Forum’s regulatory working group. The next step in the accelerated process is to announce specifications to support both TDD and FDD certification profiles, which, in itself is a bit of focus shift because TDD has previously dominated the organization’s work. “That was the very strong drive from the market; they wanted these TDD systems,” Hewitt said. Now the market, both in the U.S. and overseas, wants the combination of FDD and TDD to work with 700 MHz spectrum that’s just becoming available, especially as the FCC auctions off U.S. spectrum being abandoned by broadcasters moving to all-digital delivery. The Forum is also looking at WiMAX from a slightly different perspective. while previous efforts included fixed or portable WiMAX based on IEEE 802.16d standards, the profile work within 700 MHz will be strictly 802.16e and especially mobile. One of the important reasons for going for TDD-FDD combinations I think is due to both LTE and UMB which are its competing technologies support TDD-FDD combination with a possibility of handover between them. Bidding for regional licenses in the FCC's 700 Mhz auction passed the $19.3 billion mark Tuesday and before the auction concludes total bidding seems likely to hit $20 billion -- double the $10 billion amount that was universally cited as a successful figure before the auction began. And, the total has been reached without significant contribution from the D Block, which was designed to be available for a combination commercial/public safety nationwide network. While bidding for the D Block has dried up, desire for a public safety net definitely hasn't. See figure above for D Block, etc. "We now know that only the D Block may not sell in this auction," Rep. John D. Dingell (D-Mich.) said in a statement. "The construction of a nationwide, next-generation, interoperable broadband network for public safety is a crucial policy objective, and the need for such a network has not diminished." As chairman of the House Energy and Commerce Committee, Dingell has pushed aggressively for a nationwide public safety network. With valuable D Block spectrum expected to still be available after the auction concludes, the FCC is expected to re-bid at least some of the spectrum using new rules. Bidding for the C Block has stalled for days, and speculation has grown that Verizon (NYSE: VZ) Wireless placed the leading $4.74 billion bid for the spectrum in the secret auction. 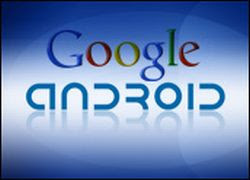 Google (NSDQ: GOOG), which had campaigned aggressively to create the spectrum block for interchangeable devices and services, is the likely second bidder for the C Block band. FCC Chairman Kevin Martin said recently that he hoped a bidder would emerge for the D Block to improve public safety responses. "If no one steps forward, the commission will have to reevaluate," he told reporters. Say no to "Dumb Pipes"
Mobile operators must focus on providing services, not just pipes, to ensure they continue to keep pulling a profit, leaders in the industry said. At a keynote speech at the Mobile World Congress in Barcelona, Vodafone's chief executive Arun Sarin said big pipes - the term used to describe high-capacity networks - were not the right area to focus on to achieve growth in the market. "We must not allow ourselves to become big pipes and let someone else do the services," said Sarin. "Communications is our core business - we have to provide these services," he said. Speaking of services, he added: "If we get this right, the upside will be enormous. If we don't, it will still be enormous - just for someone else," he said. His view was echoed by the head of Cisco, John Chambers: "If all we do is provide transport, it won't be very lucrative... If we allow markets to become dumb pipes, there'll be no profit." Services - and how they are delivered - have been a hot topic at MWC this year. While new devices have drawn attention, the news is often more to do with the operating system, be it Android or Windows Mobile, or the web services than the new technology in the handset. Son said that 2008 will see network speed and device capability hitting a point that will enable the mobile web to take off. In Japan, 90 percent of all handsets shipped are mobile-TV capable, while mobile phones now have faster CPUs that speed up browsing and bigger and better quality displays that allow the web to be viewed “properly.” Son noted that 3G was actually not good enough in terms of speed, and that with it, “you just end up with people getting upset.” HSDPA, however, was fast enough. Just as the carriers' fear of becoming a dumb pipe is one elephant the industry can't seem to push out of the room, it's worth noting that mentions of the Apple iPhone declined significantly at this year's show. Panelists talked about the rise in popularity of touch screens, the importance of user interfaces and the big push to bring the desktop Internet experience to the mobile platform. However, they rarely mentioned the handset that has done so much to evangelize these three trends. After an entire year barraged by iPhone news, the attendees didn't need to hear it. One high profile carrier speaker never gave a "dumb pipe" warning. Instead, AT&T Mobility CEO Ralph de la Vega detailed the myriad options that AT&T subscribers have for mobile content services after quickly rushing through a few slides with iPhone usage statistics. De la Vega didn't give a dumb pipe warning during his keynote address because iPhone users have already turned AT&T's EDGE network into one. The iPhone's applications are managed by Apple and other Internet service providers. AT&T just needs to keep the network up and running. So maybe Coleridge's quote doesn't apply here. Maybe the fearsome "dumb pipe" metaphor really is as tired as it sounds. Maybe the carriers' folly is already evident here at Mobile World Congress: No one addressed the power that Apple has wrestled from carriers the world over. The carriers' folly was in trying to resurrect the specter of one elephant in the room, while ignoring the presence of another. Michael Foley, director of the Bluetooth Special Interest Group, said the first devices with the technology could be on the market in the middle of next year. The industry group behind Bluetooth, which has more than 10,000 member companies, plans to announce Monday that it is pursuing the technology and will make it available next year. A fast transfer channel for Bluetooth using a different radio technology, ultra-wideband, was announced in 2006, but delays in getting it to work prompted the Bluetooth group to look at Wi-Fi too, Foley said. Some products, like laptops, already combine Bluetooth and Wi-Fi functions, but they work off separate chips. Most likely, manufacturers will use single chips still under development that combine Bluetooth and Wi-Fi capabilities. "It does appear that the first products ... are going to be Bluetooth-Wi-Fi, and our members want to take advantage of that," Foley said, adding that all the major makers of Bluetooth chips are participating in the project. 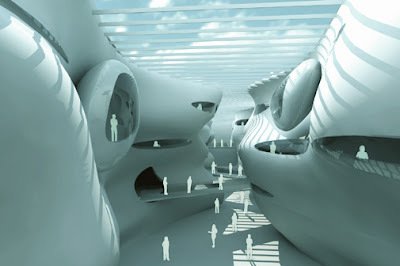 The combination devices will use the regular low-power Bluetooth radios to recognize each other and establish connections. If they need to transfer a large file, they will be able to turn on their Wi-Fi radios, then turn them off to save power after finishing the transfer, Foley said. The new technology doesn't have a name, and it isn't clear how consumers will be able to tell it apart from Bluetooth-UWB devices, which the industry group still supports. "This in no way ... changes our vision of using ultra-wideband technology for high speed when that technology is ready," Foley said. While it started out as a specific radio technology, Bluetooth is turning into an umbrella standard for a variety of different radio technologies. Apart from the high-speed flavors, the SIG has incorporated an ultra-low-power wireless technology developed by Nokia Corp. and previously known as Wibree. Products like watches and pedometers that use that technology are also expected to hit the market next year. You can also read the Interview of Bluetooth/WiFi Union here. 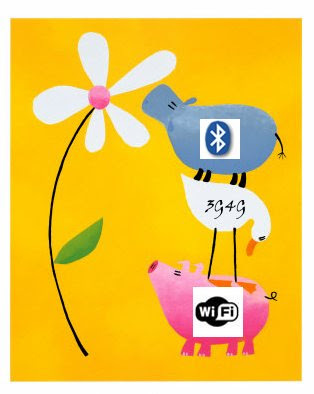 Personally I think when the UWB platform is fully available, it can support WiFi and Bluetooth 3.0 and then there would be some additional software upgrade for moving between them. Ofcourse the host and the controller both will have to support this new protocol. In the recently concluded Mobile World Congress, everyone made sure that they talk about their LTE offering. This included the Handset manufacturers, Mobile operators, chipset people and even the Applications developer who were telling that their applications would work better than others, etc. At the Mobile World Congress, Samsung and LG express their yearning for 4G in Mobile WiMAX and LTE (Long Term Evolution), respectively. Samsung demonstrates the interworking between Mobile WiMAX and GSM in cooperation with Alcatel-Lucent. The company’s dual-mode phone supporting both Mobile WiMAX and GSM realizes seamless video streaming, moving from Mobile WiMAX to GSM. Besides various Mobile WiMAX solutions, Samsung unveil Access Service Network (ASN) systems such as U-RAS Flexible and U-RAS Light Series 3 working as a base-station for expanding coverage of hot zones, inside a building or at home. Using ASN, service providers will be able to facilitate integrated services such as quadruple play service and thereby improve Mobile WiMAX network as well as enlarge service coverage, the company explains. Samsung also demonstrates OFDMA, the next generation Mobile WiMAX, in high-resolution video streaming at 1Gbps download, and unveils a wide range of Mobile WiMAX devices such as USB Dongle, PC cards, PDA, UMPC, PMP and notebook computers. LG joins forces with Nortel, its strategic partner in telecommunications equipment, to demonstrate wireless multimedia transmission using LTE, a strong candidate for 4G mobile standard. The LTE platform introduced by LG supports 60Mbps download and 40Mbps upload, up from 20Mbps for both upload and download realized in the last year’s demonstration. China Mobile has joined Vodafone and Verizon Wireless in trialling the LTE technology that will take 3G through to 3.5G before the world finally looks at 4G - and in doing so, has shaken the established standards by adding its own Chinese-oriented technology to the LTE mix. It announced that the three-way operator trials "will focus on the testing of LTE in the Frequency Division Duplex (FDD) paired spectrum, and the Time Division Duplex (TDD) unpaired spectrum - both technologies which are seen by some as an attempt to avoid payments of royalties to Western IP holders. If there was any question that LTE is dominating the charge toward 4G, Qualcomm, the primary supporter of competing UWB technology, is now deploying a number of chipsets with LTE support. Verizon is one of Qualcomm's largest customers, and their decision to go LTE has apparently broadened Qualcomm's horizons. The company also says they'll be conducting HSPA+ tests throughout 2008. "Motorola's vision for next-generation networks is one of a 4G radio access technology with huge bandwidth like LTE, combined with a flat IP architecture tied to IMS, enabling an unlimited variety of media mobility experiences. Our carrier customers want technology solutions that fit with their business plans - regardless of whether their 4G choice is LTE or WiMAX that will deliver the user experience and capacity necessary to support the growing demand for bandwidth intensive mobile, multimedia applications," said Fred Wright, senior vice president, Cellular Networks and WiMAX, Motorola. LTE will provide users with a personal media experience similar to that of fixed line broadband both in terms of bandwidth and latency, meaning applications that can be delivered today on fixed line will soon be available over the air and fully mobility with LTE. By combining expertise from across Motorola including, chipsets, network and video head-end solutions, and professional services, the Motorola LTE ecosystem will enable true media mobility, delivering innovative applications that can help operators to increase revenues and gain a competitive advantage. Motorola is pioneering mobile broadband innovation and leveraging its experience, research and expertise in OFDM, as well as developments in chipsets, devices, high-speed backhaul solutions, collapsed IP architecture and video head end solutions, to deliver its end-to-end LTE solution. Nortel, LG and LG-Nortel demonstarted at mobile event that how LTE enables the user to watch videos streamed from YouTube or monitor his home security through online video surveillance system access while traveling. “Nortel is moving forward aggressively on LTE in order to bring to market a solution capable of supporting high demand applications like video and interactive services that will have an impact on operators''' bottom lines and revolutionize the user experience," said Doug Wolff, general manager of LTE, Nortel. With the LTE market just starting to develop, Alcatel-Lucent and NEC Corp. believe combining their resources early on will help them develop a market advantage. Alcatel-Lucent CEO Patricia Russo said the move is an offensive play, rather than a defensive one. Japan’s NTT DoCoMo Inc. already has selected NEC to help deploy its LTE solution, while Verizon Wireless and AT&T Mobility have selected Alcatel-Lucent as trial partners for planned LTE deployments.The two network vendors said they plan to participate in trials in 2008 and launch a commercial network solution in 2009. The companies will use a common LTE platform and then customize the configuration depending on the needs of the carrier. Alcatel-Lucent and NEC have been working toward the joint venture for about six months. Back in 1986, i used to subscribe to a magazine called "2001" in India. One of its prediction that i still remember is that we would have prototypes of Flying cars and cars that would run solely on solar light by the year 2000. Now its already 2008 and none of these seem to have come absolutely true. It's the year 2032, and I just received a gentle nudge from Galt, our telepresence android robot (and hear my wife's voice piping through it—I wish she wouldn't keep doing that). Roughly 5 feet tall and with the strength of a preteen, Galt has limited autonomy. It can navigate my home on a Segway-balanced body and use its telescoping arms to choose matching clothes for me to wear each day. Its vision system picks up infrared fabric codes on the backs of my pants and shirts to ensure a proper match-perfect for color-blind people like myself. Galt has been programmed to know my morning routine, so it takes the OLED sheet ITV, an 8-by-10-foot, 3-millimeter-thick flexible screen that uses millions of organic light-emitting diodes, and quickly attaches it to the bedroom wall so I can watch ITV while I get dressed. Small eyelet hooks are on the walls of each room where I use the screen. I set the car to autopilot and begin cruising out of the driveway. Magnetic/electric guide wires embedded in the road keep my car on track. A dozen cameras and motion- and laser-guided distance sensors manage traffic and road signs, and GPS 2.0 does the navigating. A tap on the tiny Bluetooth receiver in my ear connects my PC phone. My boss needs third-quarter projection numbers now, so I pull out the trifold PC, fold down the sides, and pull the screen out from the base. EV-DO Revolution-Z securely connects me to my office network, and soon I'm working in Moho, Microsoft's Web-based spreadsheet app. The smartest thing Microsoft ever did was buying the Zoho online suite in 2012. I like how smoothly it runs on the Google OS. I'm halfway through August projections when an instant message pops up. I pull out the flexible screen addition from the side of my 8-by-10-inch roll-out screen, which gives me a 2-by-2-inch extra bit of screen real estate, and dock the message window there. It's my buddy John, asking me how I'm feeling. Yesterday I had a little medical procedure: 16 computer-guided nanobots scrubbed their way through my 65 -percent-occluded arteries. (I only passed the final ones this morning-that was a bit uncomfortable.) I tell John I'm feeling fine and log off. This Acer/Gateway/Lenovo (they merged in 2017) ThinkFold is running a bit slow today. It's not the memory; I have about 128GB of available RAM and the 2-terabyte, solid-state drive has more than enough room. Perhaps it's the remastered 1977 miniseries Roots I'm downloading in the background? I pause the download and the ultralight system speeds up. At the office, I step into the data room, slide on the TrueVue VR goggles, and start digging through terabytes of data to find a report and financial project from 1998. I push aside useless data with my hands and create a query so the system can find the right data on its own. Ed from IT drops by with a new phone for me. It looks a bit like a pen but snaps apart into an earpiece and a section I can put in my pocket. There's no keypad; instead I "dial" it by tapping out mini codes. I program it to call my wife on two short taps. A tap, brush against the surface, and two more taps put through a call to my best friend. I take the new phone and drop my old one into the desktop grinder. All my gadgets are now totally biodegradable, so I expect it'll end up fertilizing someone's garden. I notice a red glow coming from my left arm. It's my RF chip. Red means my son, Daniel, is in the building and probably coming up for a surprise visit. He works in Broadway's VR Theater, playing 15 separate virtual characters on a 360-degree stage. The audience is both local—people who attend the show in person, putting on the VR goggles and Bose noise-canceling headsets—and global. I've seen 26 of his performances from the comfort of my desk. He's very good. 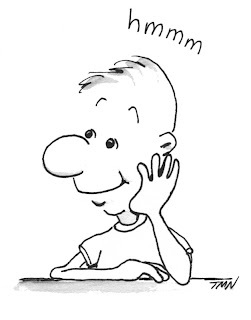 Daniel's visit is nicely timed, since an e-mail is just arriving from my daughter, Sophie. She's dumping her latest boyfriend. On my 180-degree, 3,048-by-1,028-pixel, curved ViewSonic screen is an alive mail, with a video of her and Brad walking on the beach. While we watch, Sophie uses Liquid Resize to remove Brad and seamlessly stitch the beach back together. It's as if he was never there. But wait, she's not done. She has another clip of her dog on the beach and, as Dan and I watch, she's added Scruffy to the shot so it looks as if he's walking alongside her. Nice. The "Love Detector" service from mobile operator KTF uses technology that is supposed to analyze voice patterns to see if a lover is speaking honestly and with affection. 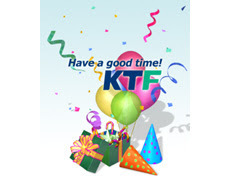 "We created this service because we thought people would want to know what others were feeling about them," said Ahn Hee-jung, a KTF official. Users who speak by pointing their mobile phones at themselves for video conferences can see a "love meter" bar on the screen of their handset during a conversation. The service costs subscribers a flat fee of 1,500 won ($1.59) a month for unlimited use or can be accessed at 300 won for each call, KTF said. "The caller is paying the money, so the information is provided only to him or her," said Ahn. Plastic from drink bottles form its chassis while its rubber keypad is made from old car tyres, Nokia said in a statement. 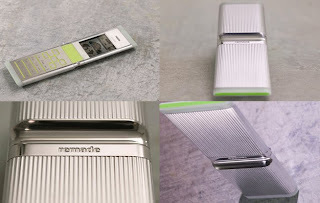 Called "Remade", the silver-coloured handset is a concept that "explores potential new ideas", the company said. "The idea behind the concept was to see if it was possible to create a device made from nothing new. "It has been designed using recycled materials that avoid the need for natural resources, reduce landfill, and allow for more energy efficient production," Nokia said. Remade is part of Nokia’s ongoing environmental effort. "It is designed to help inspire and stimulate discussion on how mobile devices might be made in the future," according to the phone maker. Olli-Pekka Kallasvuo, the Finnish firm's chief executive, pulled the clamshell handset out of his pocket during his speech at the Mobile World Congress trade show in Barcelona yesterday, pictured above. "It shows what can be done with materials," he said. "It is only a concept now but it gives you an insight into how we think we can break new ground." Nokia, which last year made four in 10 of the more than 1bn handsets sold worldwide, has been developing the handset - branded Remade - at its laboratories. The metal casing and keypad are made from recycled steel, while inside the phone Nokia has been working on materials with an organic origin, such as polylactic acid plastics. New Training Brochure available here. Do I hear TDtv again? BARCELONA, Spain, Feb 12, 2008 (BUSINESS WIRE) -- NextWave Wireless Inc. (formerly IP Wireless) a global provider of mobile multimedia and broadband technologies, today paved the way for handset manufacturers to easily participate in the global market for TDtv by announcing a TDtv Device Integration Pack. Designed to meet the strict cost, size, and power consumption requirements established by some of Europe's largest mobile operators, NextWave's TDtv Device Integration Pack includes a low-power TDtv System in Package (SiP), a complete MBMS software stack, and MediaFusion multimedia client software from PacketVideo Corporation (PV). NextWave's turnkey solution will enable device vendors to deliver TDtv handsets to market in 2008 in support of the TDtv initiative announced today by NextWave, Orange and T-Mobile UK. "Our TDtv device integration module provides a simple and inexpensive way for device manufacturers to integrate the power of TDtv into their next-generation WCMDA handsets," said Dr. Bill Jones, CEO of NextWave Network Products. "We're confident that a growing number of device manufacturers will support TDtv as mobile operators begin to accelerate wide-area deployments of TDtv systems." TDtv is an innovative 3GPP MBMS solution that provides mobile operators an opportunity to profitably deliver up to 28 high-resolution TV channels, digital audio channels, and other IP data-cast services to an unlimited number of concurrent customers. By operating on existing 3G spectrum and with the unique ability to support multi-carrier spectrum pooling and network sharing, TDtv represents a breakthrough in reducing the cost of implementing mobile television and provides UMTS operators around the world with a powerful multimedia and advertising platform. Currently, more than 150 mobile network operators in over 50 countries have access to the spectrum needed to deliver TDtv to more than half a billion subscribers. "When we looked at the available mobile TV technologies, TDtv was one of the technologies that impressed us the most, both from a performance as well as from a market opportunity perspective," said Michael Thelander, CEO of Signals Research Group, LLC. "With spectrum available across Europe and many parts of Asia and with two major operators now moving forward with an initiative, this is a market that handset vendors should take the time to explore." NextWave's TDtv Device Integration Pack includes everything device manufacturers need to create a TDtv- enabled handset. The Device Integration Pack includes an integrated TDtv System in Package (SiP) measuring approximately 10x10 millimeters, a complete software suite that includes the required MBMS software stack, and TDtv radio access network controller software. The TDtv SiP includes a TDtv baseband chip, RF chip, receive filters and passives, and interfaces directly with the handset's application processor. This low power (active power consumption under 60 mW) solution enables device manufacturers to better meet network operator requirements for sleek and highly-attractive mobile TV handsets with internal antennas, and includes filters that allow for seamless coexistence with existing 2G and 3G services. T-Mobile and Orange will today announce a partnership to run a commercial trial in west London of a new mobile TV technology which could allow handset users to tune in to up to 100 channels. The technology, TDTV, has been developed by US-based NextWave Wireless at its British unit in Chippenham, Wiltshire, and could provide a cheaper and more efficient way to get broadcast TV on to mobile phones. 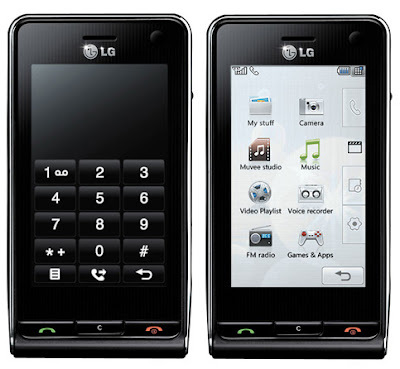 The trial, due to start in late summer, will see several thousand Londoners given either a new handset - made by a far eastern manufacturer rumoured to be LG - or a wireless receiver, no bigger than a matchbox, which will transfer the channels to their mobile phones. The six-month test will see Orange and T-Mobile share their masts in London and install equipment that will allow them to broadcast 24 high-quality TV channels including several from the BBC and BSkyB, and 10 digital radio stations. It follows technical trials of the service carried out by Orange in Bristol last year. Orange and T-Mobile are also inviting O2, Vodafone and 3 to take part in the London test. TDTV uses a slice of the 3G spectrum which Britain's five networks spent £22.5bn buying eight years ago and which has so far lain dormant. As a result, TDTV works with the phone companies' systems, making it easy to bill customers. TDTV is more efficient and has more capacity for channels than other mobile TV solutions. Orange, T-Mobile, Vodafone and 3 are all offering mobile TV through their 3G networks but they suffer from congestion if more than a handful of customers use the service in the same place. TDTV uses a different part of the 3G spectrum and many more users can watch TV simultaneously. The European Union has proposed using a Nokia-backed standard called DVB-H for mobile TV in member countries, but there will be no spectrum available for it in Britain until the analogue TV signal is switched off in 2012, and the operators will have to pay if they want it. DVB-H, which O2 tested in Oxford two years ago, can carry only about two dozen channels while TDTV could have up to 100. You can check the Financial Times Diary here on whats going on at MWC 08. If I find any other sources, i will add them on this post. 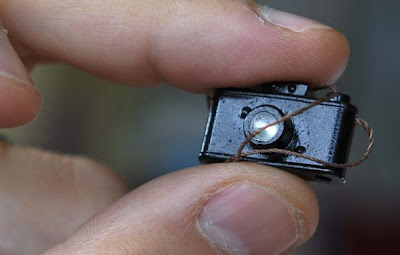 We are going to talk about the worlds smallest phone which has entered Guinness World Records. 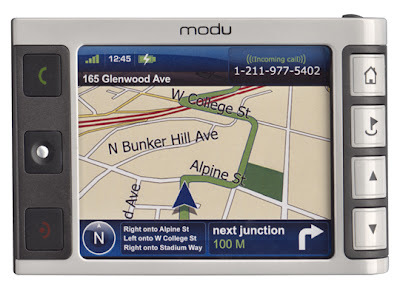 The modular Modu phone system, created by Modu Mobile, the world's smallest mobile phone, which weighs just 40.1g and measures 72mm x 37mm x 7.8mm. The modular Modu phone system, created by Modu Mobile, can be slotted into different cases or even into other specially developed consumer technology. "Modu starts with a tiny handset, which is the lightest phone in the world at 40.1g," said Zack Weisfeld, vice president of marketing at Modu Mobile. Despite its small dimensions, Weisfeld claimed that the phone does " everything that a sophisticated cellphone does". "You can use it anywhere in the world, send and receive SMS, it has a speaker, Bluetooth, MP3 player with at least 1GB of storage and acts as a mass storage USB Flash drive," he said. "It is tiny, but it is the right size to make it functional, to make you able to dial numbers." Slotting the Modu into different "jackets" also allows users to change what the device can do. 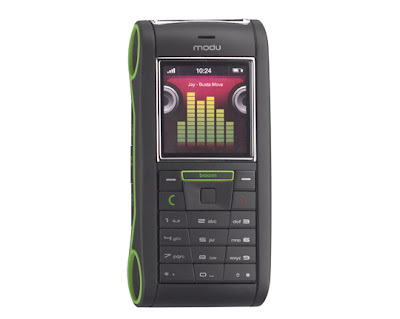 On its own, the Modu phone might not have a standard keypad, but it will still make calls. Put it into a 'sleeve' or 'jacket' (which are essentially cases) and you can turn it into a multitude of different devices. If, for example, you're going out clubbing, you can pop it into a fashion sleeve with a fancy design. If you're on a business trip and you need a phone with a Qwerty keypad and large screen, you just have to pop it into a 'jacket' with those features. The idea is that when you buy the Modu phone, you'll get a range of two or three sleeves with it and therefore you're essentially getting three phones for the price of one. If you need extra sleeves you'll be able to buy them for €40-€60 (£30-£45) depending on functionality. The Modu phone will be available from the 1 October in Israel, Italy and Russia to start with, and it'll cost €200 (£150) unsubsidised with two jackets. According to Modu, there'll be around ten jackets to choose from. Turning the Modu phone into other phones isn't as far as this device can go. Have a look at the these to see what we're talking about. Wow, LG Viewty (officially LG-KU990) allows you to record in DivX format (.avi extension) as compared to .3gp format. The trouble with .3gp format is that it can generally be seen on phones and not really watchable on PC or old PDA's. I am not sure of the resolution and quality though. With 5 MP camera, i assume it should be quite good. I have a DivX compatible player at home, but i have not yet seen big brands supporting MPEG4. It would be fun in future we will have capability to record our favourite programs in DivX format as well as normal DVD format. Youtube recently improved their mobile offering to include advanced features such as access to a large catalog of mobile video and to features that were only available on the desktop version in the past. YouTube for Mobile users can now choose from tens of millions of videos, according to the company. However, users must have a streaming-capable phone with 3G technology, which is necessary for high-speed data access over cellular networks. Apple's popular iPhone comes with a preloaded YouTube application. But the iPhone doesn't support 3G, so the video-streaming experience can be sluggish at times. It's faster over Wi-Fi connections. With the expanded mobile offering, YouTube users also can access their accounts, favorites, videos, channels, and directly upload and share content from mobile phones. Another new feature is the ability to rate and post comments on the go. San Bruno-based YouTube has no immediate plans to make money off the mobile service but eventually may show ads to viewers, said Hunter Walk, YouTube's product manager. For now, YouTube just wants its audience to become more accustomed to watching video on their phones, Walker said. Operators have realised that this can seriously impact their walled gardens and their ability to make loads of money out of the mobile users. For this reason 3 and O2 are launching EyeVibe, a mobile video community that combines their highly successful SeeMeTV and LookAtMe! services into a single community allowing any UK mobile subscriber with a video-enabled handset to share and earn cash from their mobile video clips. The advantage the operators have is that they will share their revenue with the people who upload their videos thereby encouraging them to use their service rather than Youtube for mobile. I am sure Google is already aware of this and working on a similar ad based scheme. Finally, SK Telecom announced the launch of T LIVE Video Share that enables users to share images on the camera phone screen during the voice call. 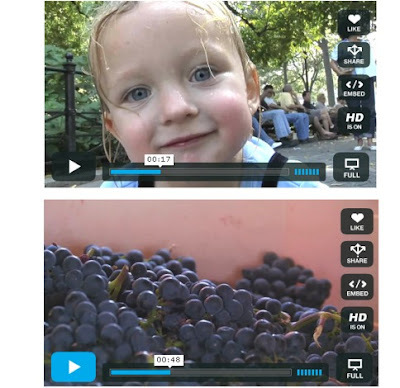 T LIVE Video Share is based on IMS or IP Multimedia Subsystems, the next generation communication platform capable of at least two multimedia services. Major mobile carriers in the world such as AT&T Wireless commercialized IMS services called Video Sharing. So far, mobile users had to hang up the phone to switch from voice to video call, but T Live Video Share users will be able to open the data call during the voice call so that they can share the images on the camera screen and start video chatting, according to SK Telecom. To activate T Live Video Share, the sender should wait for the message that video sharing is on and push the "video call" button, and the receiver should accept the request. To return to voice call, they can either push the "video call" button again and select the "stop", or push the "end" button. Unlike WCDMA video call, T LIVE Video Share uses the network optimized for data communications and offers video service of superior quality, the carrier said. SK Telecom expects T LIVE Video Share will expand the scope of communications beyond voice calls. Currently, the service is limited to sharing images on the camera screen, but the company will extend it into contents sharing service and enable users to share all contents in the phone such as photos, music and mobile internet connection images. An IMS service is a service that makes use of SIP and the IMS either centrally or marginally. SIP itself and even more, the combination of SIP with other protocols can give birth to a flurry of new services, some of them implemented on IMS. The ability of SIP to combine various existing services of different types (communication, data, content, applications) can give birth to a new user experience, which is by itself a new service. This is an important matter to consider when comparing SIP with more purpose-centric protocols. These new services can reach a huge community covering all the continents, all types of access technologies and spreading between telco domains, other business domains, and the Internet, possibly redefining the definitions of these domains. IMS and SOA (Service oriented Architecture) are not alternative architectures to deliver new services. They should rather be seen as building blocks permitting to create a new and more powerful service architecture called UOA (User Oriented Architecture). This draws a potential future world, in which there might be a little bit of SIP everywhere, and consequently a a good potential for IMS to fit as a particular SIP service architecture deployed by telco operators. However, history shows that the best technologies do not always prevail. In a possible future, the potential of SIP as a service control protocol used in different architectures including IMS, and/or IMS as a service architecture augmenting the intrinsic capabilities of SIP, might eventually fail. Conversely, would SIP and/or IMS be only used at a fraction of their potential (e.g. for VoIP and a limited set of additional services), they could still be a success. 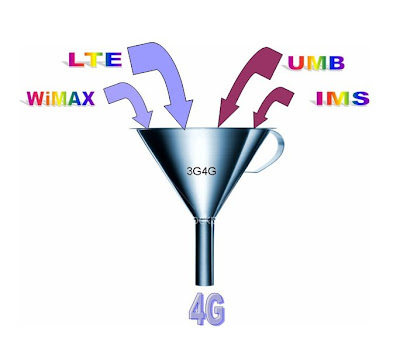 WiMAX or LTE or ............Both? Everyday I am starting to get a bit more convinced that in future both WiMAX and LTE will work side by side and operators will be more willing to have an open mind about the rival technology. There is much expected of WiMAX and it's probably fair to say that some of this can be classified as ‘hype' yet there is much to be excited about, provided we set realistic expectations with early stage deployments. It's also important to remember that WiMAX comes in two distinctly different flavours - mobile WiMAX (referred to under standard 802.16e) and fixed (802.16d). There are significant differences between the two, not least the fact that it's technically much easier to deliver the high bandwidth speeds to a stationary external antenna associated with fixed WiMAX than it is to one on a mobile device in someone's pocket or handbag. This means that whilst symmetrical speeds of 10 Mbps may be technically possible at a range of 10km today, in practice this is likely to be achieved only using fixed WiMAX and is reliant on other variables for its success, such as a high quality external antenna with line-of-sight to the base station. Given this situation is far from common and that buildings get in the way and degrade WiMAX signals, it will be more likely that mobile WiMAX users will only see half that data rate at much shorter distances from the base station - at least until techniques such as MIMO (multiple input multiple output) and beamforming are perfected to counter, and even take advantage of the multipath effects from physical obstructions. One of the biggest obstacles to widespread WiMAX deployments is the lack of available high quality spectrum. In the US, Sprint benefits greatly from its 2.5 GHz spectrum holdings. 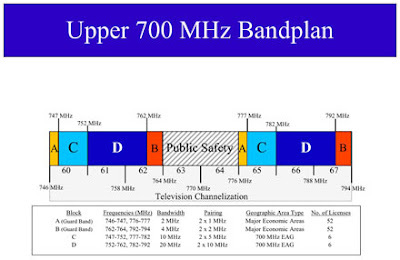 This relatively low-frequency band allows greater coverage per base station since signals travel much further than at higher frequencies. This results in fewer base stations needed, making WiMAX cheaper to deploy in the US than in other markets that don't have access to the same spectrum. Even given the availability of 2.5 GHz spectrum, for Sprint's network to provide nationwide coverage it will require more than 60,000 base stations across the US.In Europe, bandwidth below 2.5GHz is scarce and mostly occupied by analogue TV and current GSM mobile signals. Therefore, until now most European WiMAX trials and licences have been limited to the 3.5 GHz or even 5 GHz bands with often disappointing results, which is why we haven't seen anywhere near as much WiMAX traction in Europe as the US. It may not be until after analogue broadcast signals are switched off across Europe (with the UK scheduled for 2012) that sub 2.5 GHz spectrum becomes available and we start to see large-scale European WiMAX deployments. An alternative high speed mobile technology that could be used instead of, or to run alongside, WiMAX is LTE. The crucial difference is that, unlike WiMAX, which requires a new network to be built, LTE runs on an evolution of the existing UMTS infrastructure already used by over 80 per cent of mobile subscribers globally. This means that even though development and deployment of the LTE standard may lag Mobile WiMAX, it has a crucial incumbent advantage. So which technology will ultimately prevail? It is arguable that LTE is more ‘risk-free' than WiMAX because it will run on an evolution of existing mobile infrastructure. Also, mobile operators will be able to use their experience from current 3G and HSDPA networks to carry out the incremental fine-tuning necessary to ensure that the rollout of LTE will deliver on user expectations. Also in Europe it has the advantage of being unaffected by the lack of available spectrum. 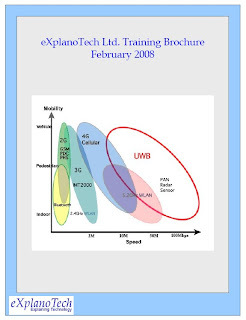 However, the recognition of WiMAX as an IMT-2000 technology by the ITU in October 2007 is a significant step, that in the future may help WiMAX to gain a foothold in today's UMTS spectrum and so close the spectrum availability gap, but the full impact of this move has yet to unfold. Nevertheless, LTE is still perhaps three to four years from being ready whereas mobile WiMAX equipment is entering the final testing phase now. Some operators far from seeing LTE as being less of a risk may take the view that by missing an early mover advantage into ultra high speed mobile broadband and waiting for LTE would have an impact in terms of potential subscribers perhaps attainable by moving to WiMAX now. Also LTE will start to come to the forefront at the same time as analogue TV signals are switched off in Europe, making the spectrum debate largely irrelevant to the WiMAX versus LTE argument. This is of course provided national governments release spectrum for WiMAX and it's available at a price that operators deem worth paying. Interestingly many operators have already stated their interest in both camps. In August of this year, Vodafone, a key advocate of LTE, declared itself ‘technology neutral' and joined the WiMAX Forum. This pragmatic approach is perhaps a sign that for now many operators will adopt a ‘wait and see' approach and learn from the experiences of early pioneers such as Sprint Nextel before deciding whether to choose WiMAX or LTE. Well its nearly time to say Bye to Motorola as they are planning to sell off (or merge perhaps) their Cell Phone business. Such a move could reshape the global mobile phones industry, leaving the rump of Motorola to concentrate on radios, networking equipment and household electronics such as television set-top boxes. Although renowned for its ultra-thin Razr phones, Motorola has been losing market share; it slipped from second to third place in the world last year, behind Samsung and the industry leader, Nokia. Motorola has been facing break-up calls for more than a year from the billionaire shareholder activist Carl Icahn, who owns 3.3% of the stock and sought boardroom representation last year. Icahn greeted the announcement with satisfaction: "For many months I have been publicly advocating the separation of mobile devices from Motorola's other business and I am pleased to see that Motorola is finally exploring that proposal." He warned, however, that he intends to try to unseat four or five of Motorola's 13 board members again at this year's annual meeting: "We believe Motorola is finally moving in the right direction but certainly still has a long way to go." 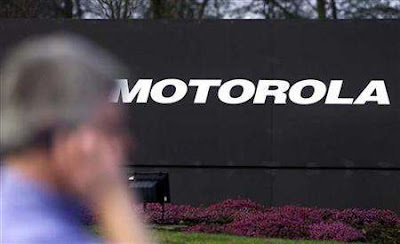 Motorola's profits slumped by 84% to $100m (£50m) in the final quarter of 2007. 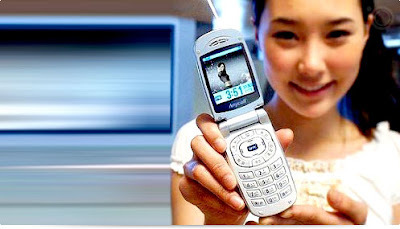 Although the Razr has surpassed 50m sales worldwide, the company has failed to follow up the model's success with a broader range of popular handsets. Analysts have suggested that its technology neither suits burgeoning demand for multimedia functions in Europe and America nor the pressure for low prices which prevails in developing countries. Motorola's announcement followed speculation of a sale of its phones division in a note published by an analyst at Nomura, who suggested that a Chinese buyer may be interested in the business. Motorola's mobile phones division accounts for about half of its $36bn global sales. But its 12% share of the phones market is just half of its level at the peak of the Razr's success in 2006. A big reminder of the difficulties is the collapse of the highest-profile attempt by an Asian company to acquire a struggling Western cellular brand. In 2005, the Taiwanese electronics group BenQ, which had won respect in the telecom and computer industries for its innovative design and was making headway establishing its brand worldwide, tried to jump-start its global push by buying the struggling handset unit of Siemens (SI). The deal proved far too big for the Taiwanese company, though, and in 2006 BenQ Siemens went bankrupt. As BenQ's experience illustrates, in the fiercely cutthroat handset market, a misstep could push a manufacturer way behind rivals, and achieving synergies could take time. A foreign takeover would probably involve the headache of integrating vastly different operations and clashing cultures, which could discourage any potential buyer from courting Motorola, particularly when its existing strategies are working. "It could be a dangerous undertaking," says Michael Min, a specialist on information technology companies at fund manager Tempis Capital Management. I'd hate to see Motorola quit the handset business, but its a very difficult market to succeed in. The mobile phone handset is the most complex piece of consumer electronics, the market place tolerances are tiny - with a shelf life for a given model of under a year (often under 6 months) - you have to continue to deliver hit models several times a year, every year. We've seen giants quit. Philips was the world's largest consumer electronics firm in the 1970s and 1980s and quit the phone business. Siemens was the world's largest engineering company, also made phones; no more. Ericsson was the biggest telecoms manufacturer and couldn't sustain the losses of its handset division to merge it with that of Sony - which at the time and since the 1990s was the world's largest consumer electronics company. It took them years to turn their joint venture around. We have giants from all sides playing in this game. Motorola the inventor of the cellular phone is now quite seriously considered to be on the way out. Then there is the paper and rubber maunfacturing company from Finland, Nokia that got into phones that is now the giant. And two other conglomerates from South Korea, Samsung and LG, that are gobbling up market share.. Lets see how it plays. I often hear the big investor analysts say when they look at our industry, that there are too many players, and the market has to consolidate. It seems surprising when the news arrives of the Alcatel-Lucents, Nokia-Siemens Networks, Sprint-Nextels and SonyEricssons etc. Meanwhile on another front we also see Microsoft wanting to gobble up Yahoo..
Vodafone has cut their mobile broadband rates. In a way this is good news as more small businesses will go for this option so they can check their mail while on the move. I know some of you may be thinking that people always had the option of using Blackberry, but that option is expensive and not convinient for everyone. The only problem with '3' is that people dont trust them enough (even though i used them and generally never had problems). In any case this is still good news but the operators need to understand that they will have to lower the price slightly more before the critical mass adopts this whole heartedly. I say that £5 for 1GB and £10 for 3GB is a good starting point. With more people adopting Mobile Broadband, operators will be forced to provide better services which in turn mean that they will have to move on new technologies like HSPA+ and LTE asap. This is because these new technologies increase the capacity and speed and the connections will become much more reliable. We will have to wait and watch which operator has the courage to take the bold step of £5 for 1GB of data. Ps: One of my colleague for India mentioned that you can get unlimited data using GPRS in India for Rs. 99 (< £1.5). Can anyone confirm?